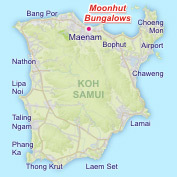 Moonhut Bungalows resort is located in the centre of beautiful and still non­commercialized Maenam Beach on the North Coast of Koh Samui. 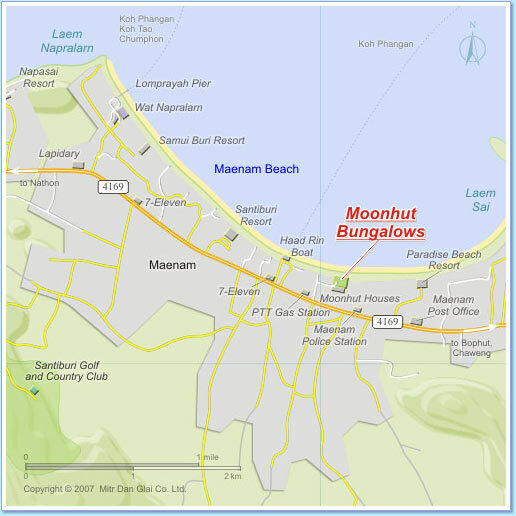 A five minute walk along the beach takes you to Maenam village and the ferry pier, which has regular crossings to Koh Pha Ngan and Koh Tao. 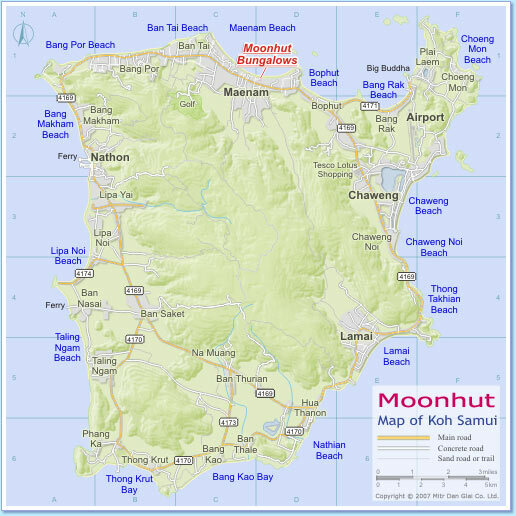 Nathon, the capital of Samui, is a twenty minute drive from Moonhut, here you will find the Surat Thani ferry pier and a bustling mix of shops, cafes & restaurants. 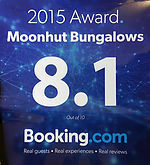 If you want pubs, clubs and an exciting night out, Chaweng Beach is only a short Taxi ride away and offers entertainment to suit all tastes.